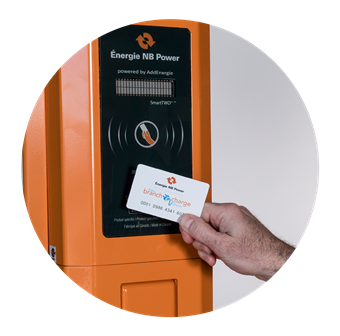 *Charging fees do not include parking fees associated with charging stations located in a paid parking facility. 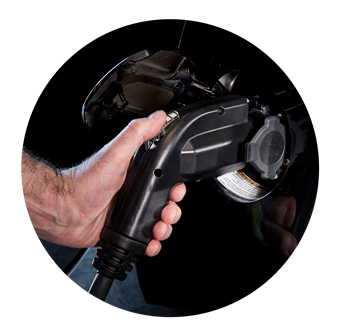 All plug-in-electric vehicle models available in North America are equipped with a socket that is compatible with 240-volt charging stations. 1. Hold your eCharge Network card in front of the scanner. Instructions will be displayed on the screen. Once the authentication is complete, the door will unlock. 2. Lift the door and unplug the connector from the charging station. 3. Plug the connector into your vehicle’s outlet. 4. When charging is finished, unplug the connector from your vehicle. Roll the cable around the support, put the connector back into the station and close the door to complete the transaction. *Billed by the minute. Total costs are determined based on the total time connected to the station, not the duration of the charge or the total energy transfer. 1. 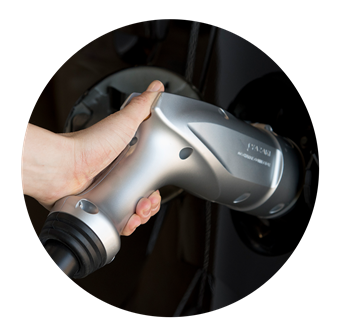 Plug the connector (CHAdeMO or SAE Combo, depending on the vehicle model) into the vehicle. 2. 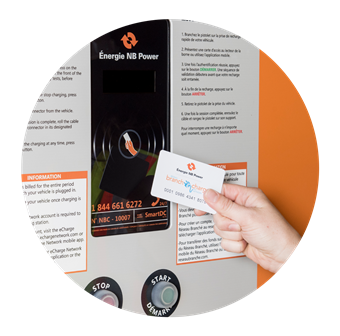 Activate the station by: Placing your card on the reader OR Selecting the station in the eCharge Network mobile app and pressing "Start a session". 3. 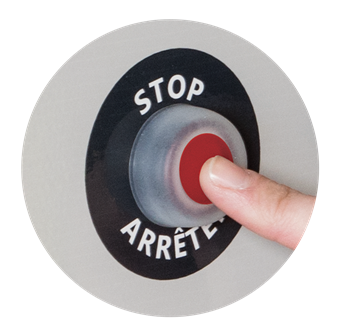 Wait until the "START" button (located at the front of the station) starts flashing, and then press it. 4. Once charging is complete, press the "STOP" button, unplug the connector and replace it in its socket. Only one vehicle can use the fast-charge station at a time. While your vehicle is charging, please remain nearby. Once your vehicle is charged, please be considerate and ensure the station is made available as soon as possible to other electric vehicle owners. 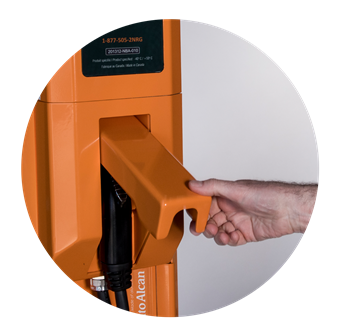 EVs charging with DC Fast Chargers have limitations which are set by the manufacturer. Some models, when recharging with a DC Fast Charger may stop charging when the battery reaches 80%-83%.There is nothing wrong with the charger or vehicle. 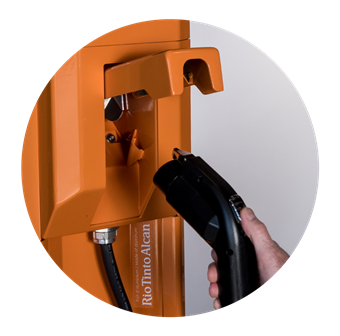 If this happens, we recommend that charging continues at a 240 volt charging station in order to minimize costs, as the EV receives energy more slowly between 80%-100%.